This sanitiser is food grade, no-rinse and super easy to use. You only need 2ml mixed with 1L of warm water and shaken to sanitise one of our 4L kegs in 2 mins. 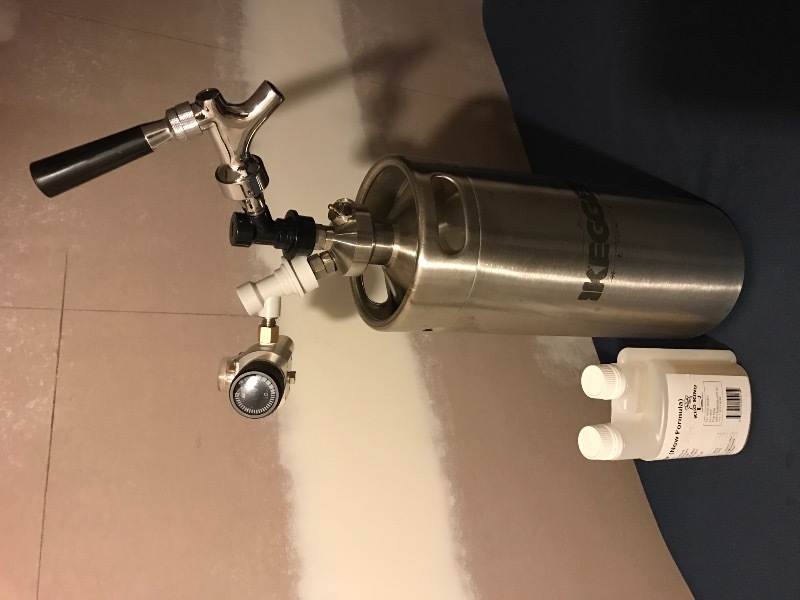 See this video on how you can do that to a whole chain of kegs and then push the liquid through with CO2 for the easiest and most perfectly sterilised kegs, beer lines, connections and taps possible. 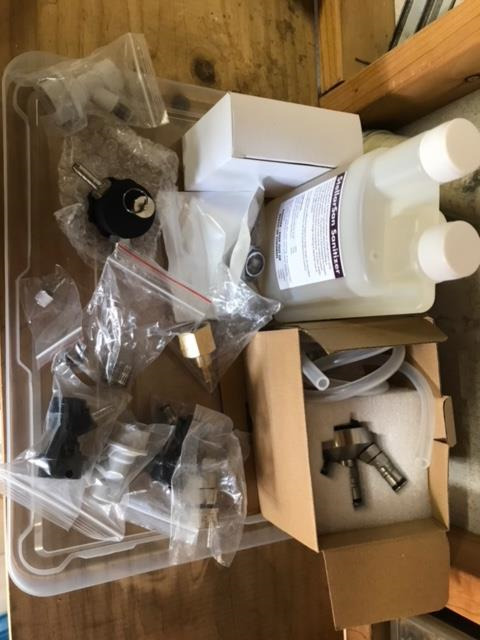 With the kegs hooked up, sanitised and filled with CO2 like this you can then just gravity feed your homebrew from your fermenter into them in minutes. 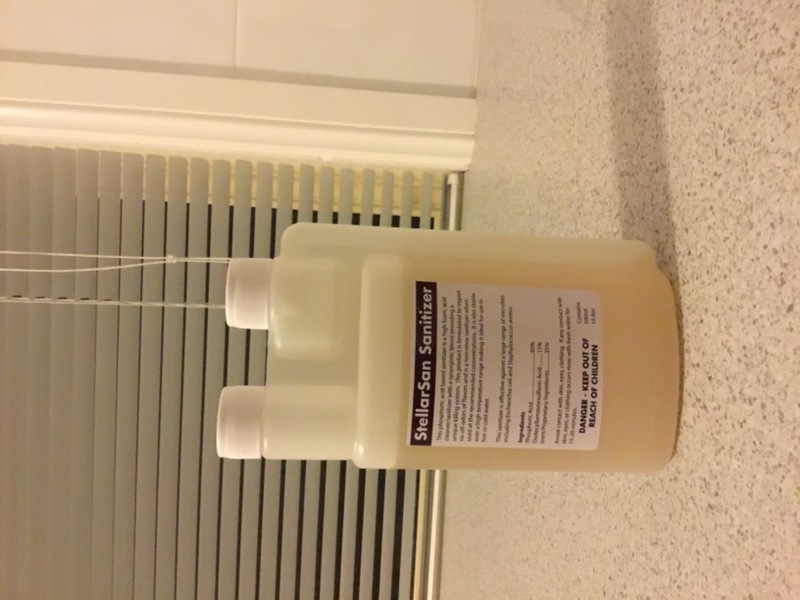 You can also re-use the sanitiser repeatedly, making it even more cost effective. Just keep the used liquid till next time. The handy bottle measures up to 10ml at a time with a quick squeeze. Don't worry about foam in your keg, growler or brewing equipment it has no flavour or odour and is completely food safe and non-rinse. Unlike other sanitisers it is non-staining, non-corrosive on stainless and stable over a wide range of temperatures. Saved me a heap of time! Only recently purchased this and its already worth its weight in gold! 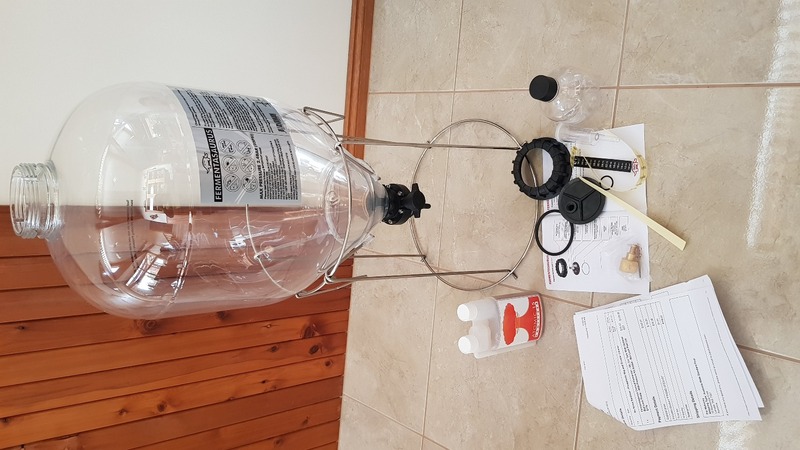 Saved me a heap of time sanitizing my equipment and the easy pour measuring cap is a mess free way of getting your measurements right. Have some diluted in a plant spray bottle for sanitizing around my kit. Shipped quickly and now can't imagine what I did before it. 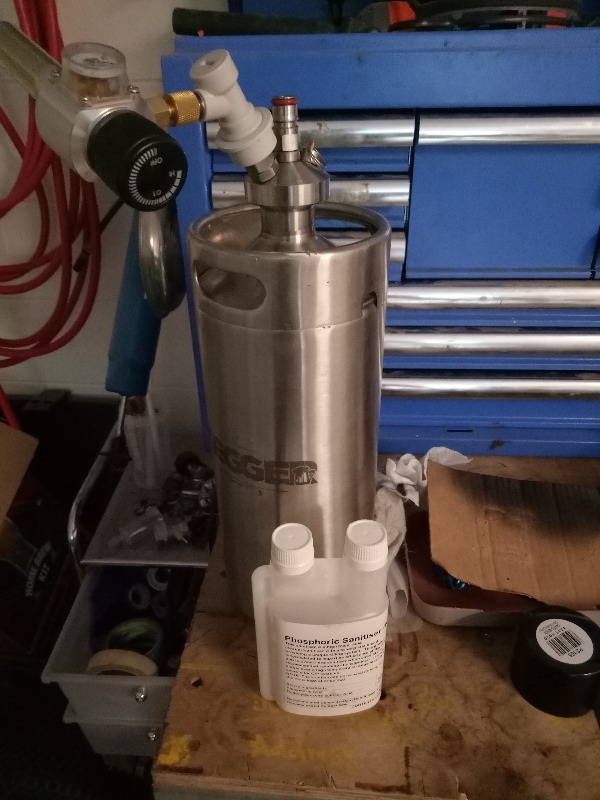 I used this to sanitise my keg before my first ever kegging attempt and it worked like a dream, made the entire experience so much easier and significantly reduced the stress.